This course is one of the most robust Nigerian context Ecommerce Training course you can find on the web. The course will guide you on all the basics you need to know in setting up and operating your ecommerce store in Nigeria. See below on some of the outlines for this course. This course will guide you on all the basics you need to know in setting up your ecommerce store in Nigeria. You will learn secrets and ways to set up free Ecommerce store and start making massive revenues from it. 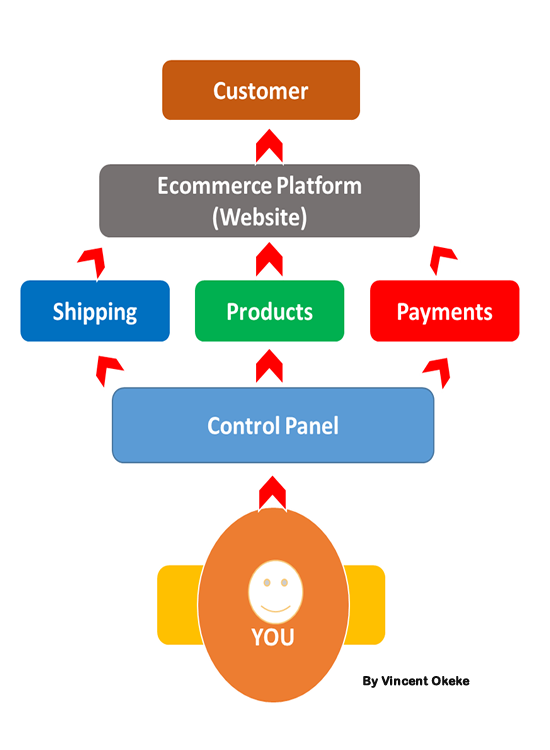 You will learn about all the major types of Ecommerce Stores, including payment gateways for Ecommerce stores. You will learn about best key Digital Marketing components and Strategies for your ecommerce business, based on proven strategies, and lots more. The course contains 8 hour plus video, you will also be able to download a 69 page Handbook for this course. After completion of this course, you should be able to set up your own ecommerce business! You will also get complete 1 year access to the course and access to the course community to discuss your projects. I am a Trainer, Independent Consultant, Serial Entrepreneur, and Business Coach, with in-depth knowledge in subject matters like Digital Marketing, E-commerce, Entrepreneurship Practice and IT, having over 9 years of cognate practical experience across board, ran various marketing campaigns in over 10 African countries, i pride myself to be among the most resourceful consultants in Africa in these regards. My key focus is on Nigeria market, and its peculiar business ecosystem, with some extension in African markets.